Posted on June 09, 2011 at 6:20:00 am by Andy W.
This is the third in a series of posts about eating gluten-free in Fort Wayne! For my first post about sandwiches, click here. For my second post about pizza, click here. When I still ate wheat, boy, I loved me some pasta. The best I ever had was at a now-closed restaurant in Muncie, IN that offered penne pasta in a tangy vokda cream sauce. Spaghetti in olive oil was my go-to light meal at home. I was left optionless when I went gluten free. Or so I thought. Fort Wayne has some different options when it comes to gluten-free. I&apos;ll be concentrating on Italian pastas, since Thai pasta, for example, is usually made from rice, a naturally gluten-free grain. 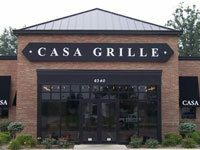 One of the treasures Fort Wayne has is its local chain of Casa Italian restaurants. With four locations spread across the city (though my favorite, the original, in central Fort Wayne closed last year), their signature house salad is known nationwide and has oft been copied emulated. They offer, however, an entire gluten-free menu, with dishes containing pasta that, while kind of an off-white greyish color, taste delicious. If you&apos;re feeling decadent, try it with the butter sauce, which is amazing. Side note: Biaggi&apos;s also has a gluten free artisan pizza, but I didn&apos;t include it here because a) I&apos;ve never tried it, and b) you&apos;ll definitely want to get pasta when you go. Gluten-free Fort Wayner&apos;s and Out-of-towners: Where do you get your pasta fix? What is it like? Let me know in the comments! 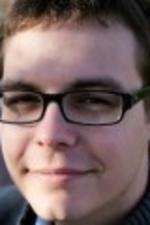 Andy Welfle is a nonprofit geek, a pencil blogger, and freelance writer living and working in Fort Wayne. He loves urban bicycling, the nonprofit arts and culture community, and his cranky cat named Sachen, which is the German word for "things".